For centuries, both marijuana and alcohol have had their place in society. It’s no secret that alcohol was once a regular prescription for medicinal use, and you probably know that the medicinal marijuana market is rapidly expanding. However, doctors now refrain from encouraging patients to drink. Many even warn against the long term effect of alcohol on the body. Of course, you do hear warnings about how marijuana kills brain cells, but they may be a little less worrisome than even the short term effects of alcohol on the body. That’s not to say that marijuana cannot potentially have adverse effects, especially if used incorrectly. For years, society has pitted the two against each other. This is especially true when talking about legal parameters related to marijuana. Many assume that because marijuana is illegal, it is less safe. But we have some pretty compelling evidence that legal alcohol consumption might not always be best for your body. 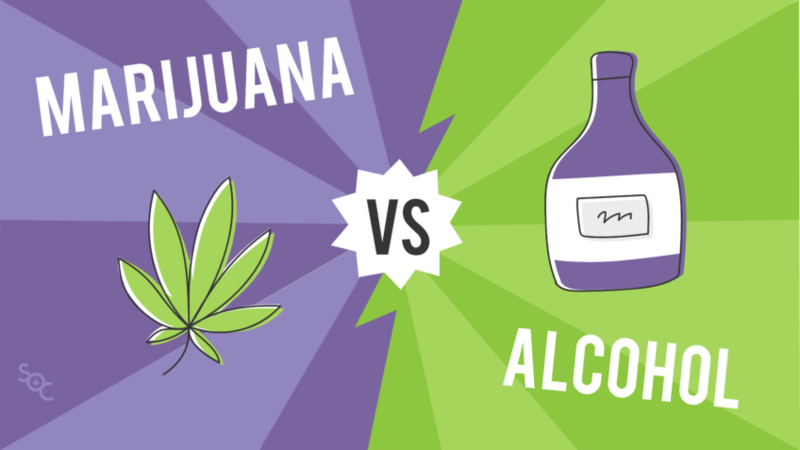 Is marijuana safer than alcohol? Compare and decide for yourself. Alcohol and marijuana both have effects on the brain, which means effects on thought patterns, memory, and other physical and mental functions that rely on the brain. With substance use, you’ll almost always see both short and long term effects. Alcohol takes effect after you drink it, though it can be used to cook. It should be noted, though, that most of the alcohol evaporates when it is heated. This means that foods that include alcohol generally don’t get you drunk. Marijuana affects the brain when it is consumed, whether by smoking, vaping, eating, or drinking marijuana products. However, THC must be “activated” by heating it or it won’t produce any psychoactive effects. That means that dry herb won’t get you high if you eat it. Most research shows that more of the cannabinoids from the cannabis plant are absorbed when the product is smoked or vaporized. Typically, studies that look at recreational marijuana use are focused on the effects of THC, but there are actually well over 100 cannabinoids in the plant that alter the effects marijuana has on the brain. 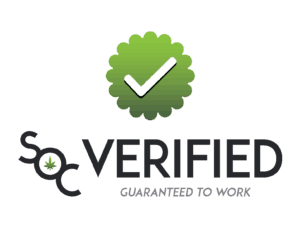 When looking at the overall effects, it is important to keep a broad focus on marijuana as a whole, but most research at this time has looked primarily at either THC or CBD. According to the American Addiction Center, alcohol affects neuro-receptor sites for GABA, glutamate, and dopamine. Alcohol’s effects on the GABA center and glutamate receptors produce the physical effects associated with drinking. These are short term effects like slowed speech or movement, which results in the “drunk” feeling. When alcohol affects the dopamine receptors, more dopamine is produced. This results in a pleasurable feeling, which is why people often feel happy when they are tipsy or in the beginning stages of alcohol intoxication. However, alcohol has a biphasic effect. This means that there are two phases to alcohol use. The first phase, as described above, is the favorable feelings that often encourage alcohol use to begin with. The second phase, though, is due to an overload in the GABA and glutamate centers. After too many drinks, one may have a hard time controlling motor functions, like walking or talking. Many people know that being “too drunk” often leads to nausea and vomiting as well, which is the body attempting to expel the alcohol because the brain is overloaded. Short-term effects on the brain include impaired decision making, memory impairment, blackout, and recklessness. Long term effects of alcohol on the brain could include various adverse effects, like reduced gray matter in the brain, decrease in visuospatial understanding, decreased cognitive functions, memory loss, shortened attention span, and Wernicke-Korsakoff syndrome. Marijuana activates all of these CB receptors but causes a “flood” in the part of the brain that holds most of the body’s receptors. This chemical flood results in the “high” feeling associated with marijuana. The high feeling causes some short term reactions. According to the National Institute on Drug Abuse, those reactions can include an altered sense of time, mood changes, impaired body movement, impaired memory, or difficulty with cognitive thinking. Some effects are more severe but the NIH reports that they are only possible with extremely high doses. These effects could include psychosis, delusions, or hallucinations. However, long term reactions to marijuana are far and few between. The most heavily debated effects of long term marijuana use is the possibility of memory loss and reduced brain functions. This is where the taunting phrase “Marijuana kills brain cells” stems from. There is no hard evidence that using marijuana products actually kills brain cells. However, some evidence does show that there is a decrease in some brain functions after heavy use over an extended period of time. One study, which was done in part by researchers at Duke University looked at the long term effect of marijuana use on IQ levels. The test revealed that people who began smoking in their teen and continued chronic marijuana use lost an average of 8 IQ points over 25 years. People who started after the age of 20 and continued into later life showed almost no significant change in IQ. It is unknown whether the participants used other drugs that could have affected their IQ. This study is one of the main origins of the myth that “marijuana kills brain cells.” However, many other studies disagree. One study done at Harvard University in 2001 looked at the effects of marijuana on people while using and after they quit. These participants were given mental assessments, including an IQ test. It was found that scores were slightly lower while intoxicated than when sober. Scores were also slightly lower during the first week after quitting. A month later, however, scores returned back to normal. Many other studies have verified the idea that marijuana only has temporary effects on cognitive ability and brain functions. Many people are aware of the risks of liver failure and complications related to alcohol use, but what about marijuana? Many sources have buzzed about the impact of weed-infused food on your liver and other organs, but are edibles bad for your liver? Some sources disagree on the impact of each substance on liver function, but it is definitely true that your liver is affected by nearly any substance you consume. Unfortunately, some substances are particularly harsh. One byproduct of excessive alcohol intake is acetaldehyde. You might recognize the prefix aceta- from acetaminophen, or Tylenol. Like Tylenol, acetaldehyde can cause liver damage that leads to multiple serious conditions. The damage is often irreversible and the conditions could include liver cancer, cirrhosis of the liver, fatty liver disease, and more. The weakening of the liver may lead to another condition, called alcoholic hepatitis. Most of these conditions are severe and lead to pain, bloating, nausea, discomfort, improper liver function, hormone imbalance, and can even be fatal. Liver damage is the leading cause of death related to alcohol use. In 2015 alone, over 21,000 people died of alcohol-induced liver problems. Alternatively, marijuana has no known toxins that might affect the liver. Most research that is concerned with the toxicity of marijuana makes no claims of it causing liver damage, and there are no known deaths due to liver conditions induced by marijuana. Many researchers have looked at the effects of marijuana on the liver, however, and have found it to be therapeutic in the treatment of liver diseases. One study looked at marijuana as a treatment for alcohol-induced liver disease and found that it reduced the severity and prevalence of the progressive stages. Other research says that marijuana may be a useful co-therapy for chemotherapy or other treatments used for liver damage and liver cirrhosis. Marijuana may be able to help reduce nausea, increase appetite, and fight fatigue related to these therapies. Are Edibles Bad for Your Liver? Most of the research regarding marijuana’s impact on the liver assumes that it is smoked. There is still a little bit of misinformation about the effects of edibles on the liver. It is true that edibles sometimes result in vomiting or nausea because of the way they are processed by the liver. However, there are two reasons that work hand in hand to create this issue, and they often can be avoided. First, marijuana takes much longer (up to 2 hours) to take effect when consumed orally through edibles. For this reason, many users are prone to taking another dose when they realize the effects have not kicked in quickly. Also, the body metabolizes the THC, which boosts the amount of THC found in your blood by almost five times the amount if it were consumed by smoking. These two combined often result in overdosing, which can cause adverse effects like nausea and vomiting as the body tries to remove some of the substance from the body. There’s some confusion surrounding the effects of alcohol on the heart. Some sources label certain types of alcohol, like red wine, as “heart healthy.” This is due to findings that one glass of red wine a day can help boost good cholesterol and prevent clotting. Research says this is due to resveratrol, which is also an antioxidant that may fight free radicals in the blood. Resveratrol can also be found in red grape skin, so a glass of grape juice would work just as well. However, more than one glass of alcohol can have a negative effect instead. Short term effects of alcohol on the cardiovascular system include increased blood pressure, which is due to the dilation of the blood vessels. Other short term effects could also include an irregular heartbeat that could lead to trouble breathing. Long-term effects of alcohol on the cardiovascular system include increased triglycerides in the blood. Other research shows its high potential to cause more permanent high blood pressure conditions or other conditions that lead to heart disease and heart failure. Drinking also heavily increases your daily caloric intake. Excessive drinking can lead to diabetes or obesity, which puts a strain on the heart as well. The American Heart Association links alcohol use to a few other conditions, like cardiac arrhythmia, cardiomyopathy, and sudden cardiac death. Cannabis reacts similarly to alcohol in that it raises the resting heart rate, dilates blood vessels, and increased blood pressure. Some studies show that the risk of heart attack is greater in the hour following marijuana use, but many identify this as a risk only for patients with existing heart conditions. These are only short term effects, however, and the researching identifying long term negative effects is limited. Many sources do agree, though, that smoking marijuana may be risky for some patients with heart disease since they seem to be at greater risk for developing sudden chest pain when under stress. One study identifies the long term effects of marijuana use. The study says that repeated exposure will result in lower heart rate, increased blood volume, and lower the circulatory response to exercise. Most often, these responses are positive, unless there is a pre-existing condition that dictates otherwise. Perhaps the most common fear related to smoking marijuana is the possibility of harm to the lungs. While some studies have shown that marijuana may lead to certain lung conditions, other studies have denied these claims. There is potentially a problem in the research, since many studies involved cannabis users that combined marijuana and tobacco. Alternatively, the effect of alcohol on the lungs is often overshadowed by its impact on the liver, but some studies do show a detrimental connection between the two. While there are some studies that tried to link marijuana to lung cancer and other respiratory illnesses, other research has debunked it. Some studies actually show a healthful impact of marijuana on the lungs. One study shows that adults who smoke marijuana may actually have stronger lungs than non-smokers. There was no sign of lung degradation in most of the participants, even after a joint a day for seven years. One study even showed that cannabis may improve lung health by raising its forced vital capacity, or the amount of air that can be forced out of the lungs at once. This affects lung strength and wellness overall, and many researchers believe it may be due to marijuana’s anti-inflammatory effects. While lung damage is not the first thing that comes to mind when thinking of alcohol use, there is still some pretty compelling evidence that links the two. One study shows that people who suffer from Alcohol Use Disorder (AUD) are more susceptible to respiratory infections. People with AUD were at higher risk for developing pneumonia, tuberculosis (TB), respiratory syncytial virus (RSV) infection, and acute respiratory distress syndrome (ARDS). Overall, excessive alcohol use may weaken the immune system as a whole, which may mean that the increased risk is general instead of lung-specific. While the term “overdose” is often associated with fatality, that isn’t always the case. Overdose is defined as an excessive dose of any drug. Sometimes overdose results in death, but it can be less severe. However, an overdose will always result in adverse side effects. These effects are usually in the ballpark of nausea and vomiting but can be even more severe. Both marijuana and alcohol can produce overdose symptoms when too much is taken. Every person has a different tolerance based on previous exposure, body weight, diet, body chemistry and more. There is no way to know how much is “too much” for each person. Alcohol is one substance that makes it particularly easy to overdose. Overdosing on alcohol is often referred to as “alcohol poisoning.” Alcohol poisoning can be fatal, but usually causes hospitalization or extreme sickness. Using too much marijuana can result in “overdose” effects, like vomiting or nausea. Most studies find that there is no risk of extreme toxicity when using marijuana. Overdosing on marijuana can be unpleasant since the body will likely do what it can to expel the excess substance. Even though legalized since the 30’s, alcohol is a leading cause of death in the United States. Marijuana, however, doesn’t seem to carry as many fatal risks. The DEA weighs in on both. Alcohol is one of our biggest killers every year, both due to its ability to physically and mentally impair and its potential to cause deadly health conditions. The National Institute of Health reports that around 88,000 people will die every year from alcohol-related causes. This makes alcohol the third leading preventable cause of death each year in the United States. Almost 10,000 of these deaths were related to drinking and driving. Many people avoid marijuana due to its classification as a schedule one drug, which has some scary undertones. However, the legal reasons for this classification are likely unrelated to its health effects. It does cause a little worry for some, and others feed into the myths related to marijuana causing sudden death. Can weed kill you? Probably not. Marijuana overdose has never been linked to any deaths. Two major studies agree that marijuana doesn’t have the potential to cause death outright. Any links between marijuana and death have always involved a third factor, like driving while intoxicated or mixing many substances. Many researchers will agree that cannabis is non-lethal, even in high doses. There’s no way to say that either is “safer” than the other since the real health potential is in the way each substance is used. However, much of the research seems to agree that alcohol poses a serious risk in all areas, especially when consumed heavily. Any long term effect of alcohol on the body poses serious health risks. Smoking marijuana may not be right for every person. However, there seems to many more potential health benefits involved with marijuana use. If you use marijuana or alcohol recreationally, be sure that you understand the risks involved and use substances responsibly. If you think that medical marijuana may be right for you, talk to your doctor about adding it to your daily health care routine. Kat Austin is an experienced content writer and author. 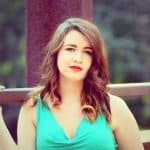 Driven by her appreciation for cannabis’ positive impact on her family's health, she takes pride in creating content that promotes cannabis re-education and legalization. 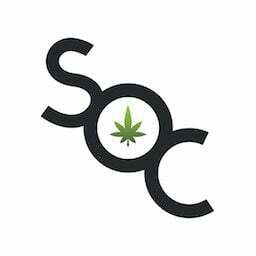 As a Content Manager and Author for Save On Cannabis, she works to spread truth and diminish the unfair stigma placed on the cannabis plant. By doing so, she hopes to lead more people to the age-old path of natural healing.